Is There Beauty in Forgetting? is a series of short videos that speculate about aesthetic meanings of forgetting. In the age of digital, meaning of forgetting is changing, since digital media by default does not forget (i.e. data itself does not age or deteriorate by the passing of time or duplication unlike the analogue media) . 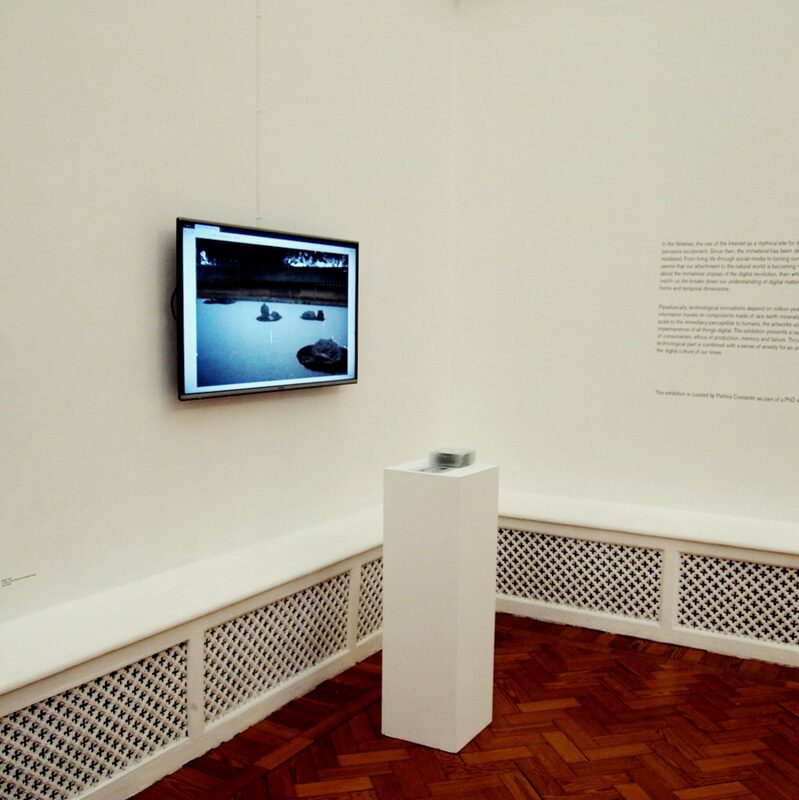 In relation to the context the artist explores the possibilities of beauty of forgetting in the digital age, through the videos that mimic the format of video blog. 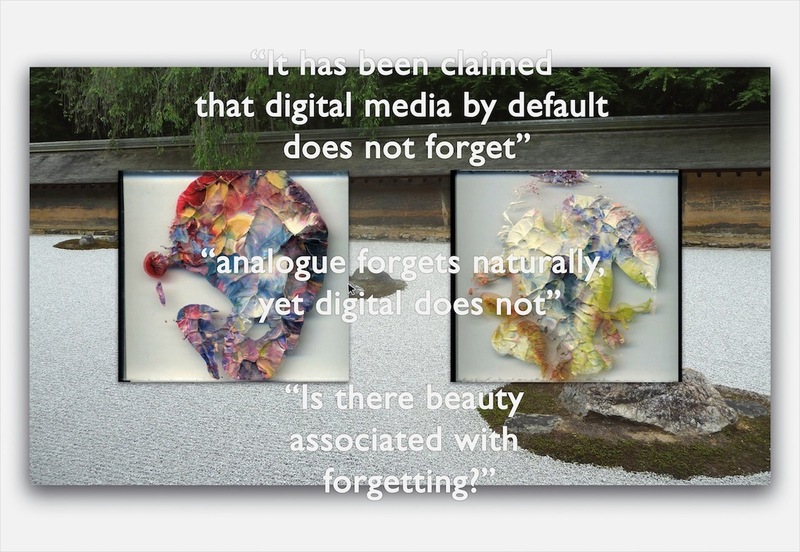 These videos show painterly, fragmentary images that are montaged with a narrative voice that speculates about a number of topics associated with digital media and information loss. 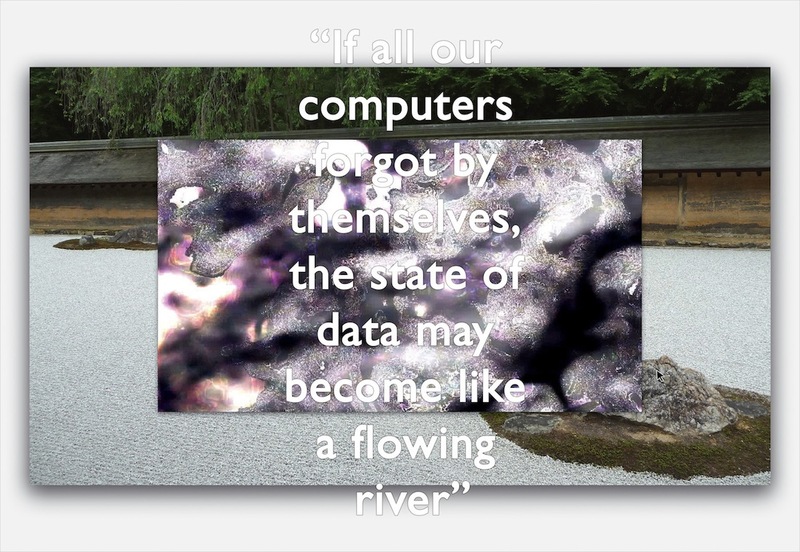 And the images and the narrative are presented on a background of a fake computer desktop with a wallpaper of a Zen garden, which can be seen as a symbolic place of forgetting as Zen meditation requires one to forget the everyday reality. The first part of Is There Beauty in Forgetting? compares digital memory and analogue memory as well as other precedent media that are non-electronic and non-mechanical. By using visual narratives that are symbolic of disappearance and deterioration of physical materials, the video questions the possible beauty of disappearance and forgetting. The second part explores possibilities of beauty of data loss. The video speculates about how we overlook and forget data lost through compressions of digital images. The artist visualises how the data has been lost after compression, and it reveals contemplative surfaces that are by-products of the process of compression. The third part envisions algorithms that forget our online footprints and personal data throughout time. 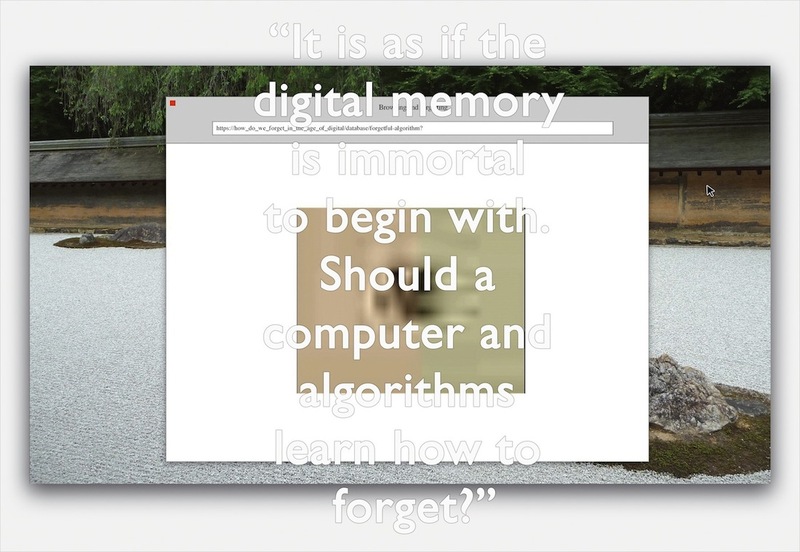 And the video speculates about the poetic aspect of the imaginary, forgetful algorithms.